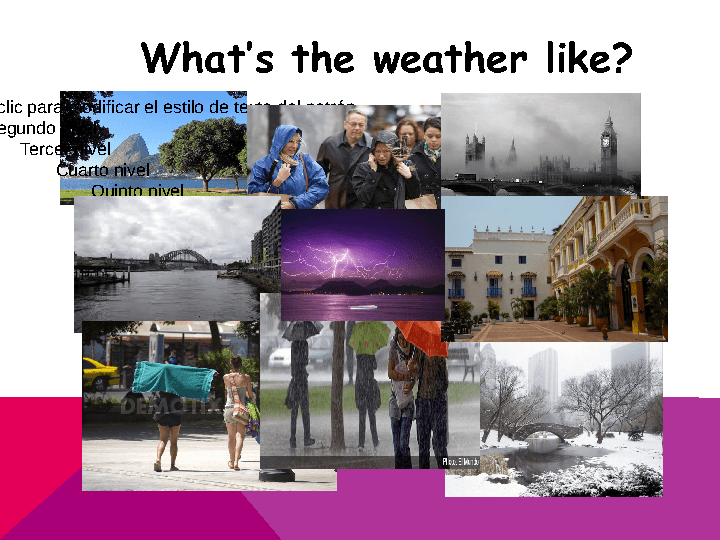 This is a powerpoint presentation to let students talk about weather in different countries. It helps to reinforce weather vocabulary. 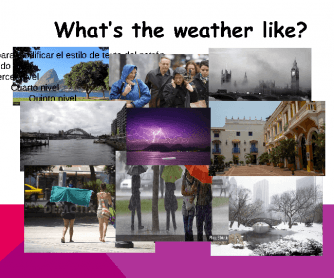 Each slide asks the question: "What's the weather like in...?" Students will answer using expresions like "It's warm and sunny", then they check their answer on the next slide. For advanced students you can add adverbs like very, pretty, somehow, really.